100% Australian made and owned. 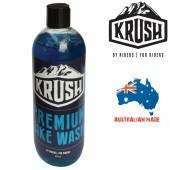 Krush After Wash Bike Spray is a total all over bike spray to keep your mountain bike looking and feeling its best. With its friction reducing properties Krush After Wash Bike Spray keeps your fork stanchions, fork seals, rear shock and other moving parts working at their optimum, while reducing moisture and dirt build-up between washes. Krush After Wash Bike Spray is totally safe to use on all bike surfaces from carbon fiber to alloy, plastic, metal and all kinds of paint finishes. • High purity residue-free silicon formula. • Prevents dirt build-up between washes. 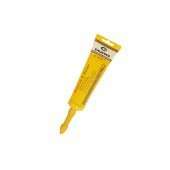 • Restores a factory finish to both carbon and alloy frames leaving a protective non-stick coating. • Forces out excess moisture from drivetrain components, suspension components and other mechanical parts. • Keeps your pride and joy looking and performing like new. Krush was born out of passion, a passion to be outdoors, in the mountains, living it up and pushing the limits! The crew at Krush are the people out on the trails, up the mountain, pushing it to the edge at every given opportunity. Along with the passion for shredding comes the love for the bikes we ride plus the drive to keep them maintained at the highest level for maximum performance and reliability. The humble MTB and the way we ride them has changed a lot over the last 20 years. The bikes have become super high-tech, the trails and descents more demanding on both the rider and the bike. With all this in mind, we at Krush felt it was time to develop a range of cleaning and maintenance solutions to match.